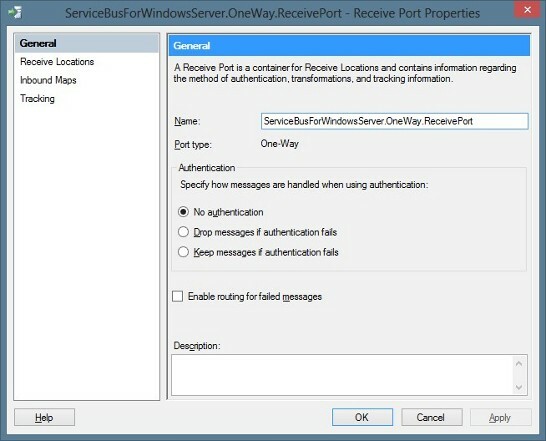 The WCF-Custom receive location used by the ServiceBusSample application to read messages from the requestqueue. 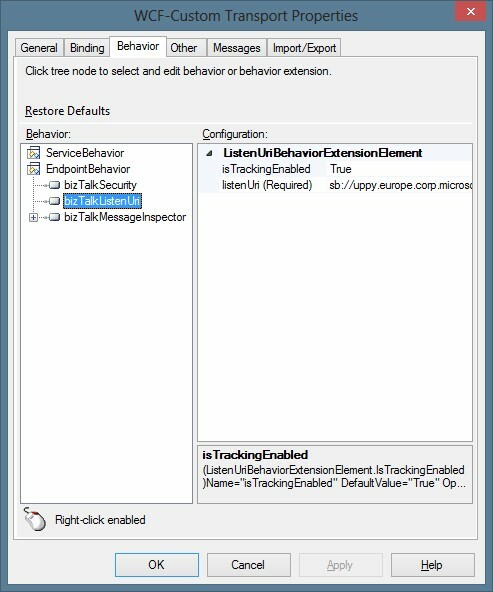 The WCF-Custom receive location to retrieve messages from the ItalyMilan subscription defined on the requesttopic. Open the BizTalk Server Administration Console and expand Receive Ports under the ServiceBusForWindowsServer application. Enter a receive location name and choose a pipeline based on your requirements. 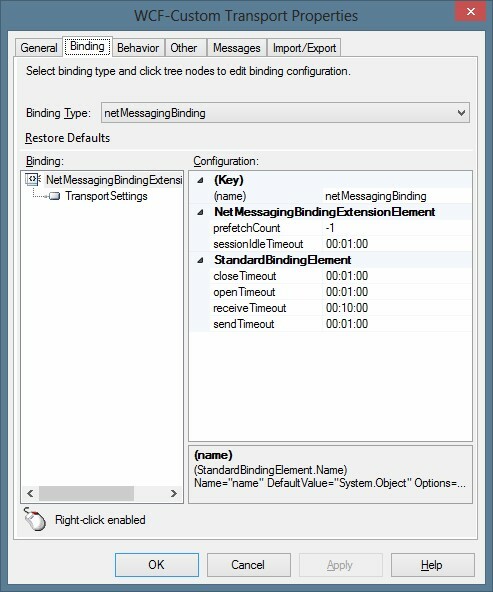 In this sample, incoming requests are processed using an orchestration. As a result, select the XMLReceive pipeline. The XMLReceive pipeline promotes the context properties of the inbound document; which includes the MessageType property used in the subscription expression of the StaticSendPortOrchestration and DynamicSendPortOrchestration. Select the WCF-Custom adapter and click the Configure button. Click the Behavior tab, right-click the EndpointBehavior node and click bizTalkSecurity. 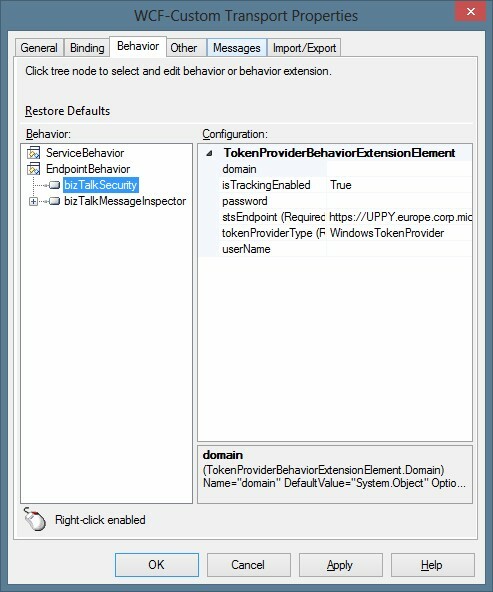 Click the corresponding node, click the token provider and enter a domain, user name and password. For security reasons, it’s not recommended to use the same account as the host instance. 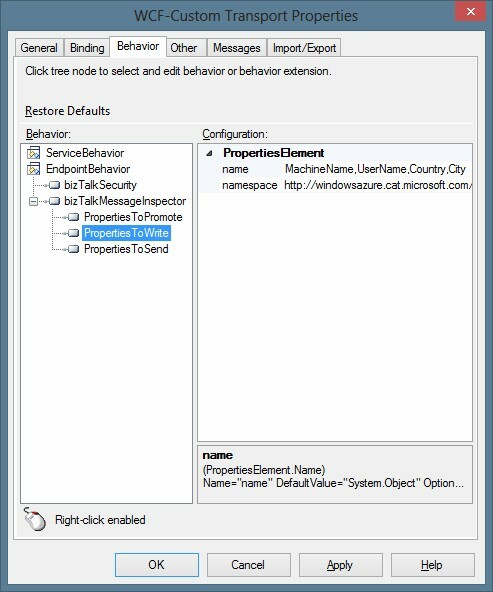 MachineName, UserName: These properties are optional. The PropertiesToSend property applies only to send ports. Skip this property. 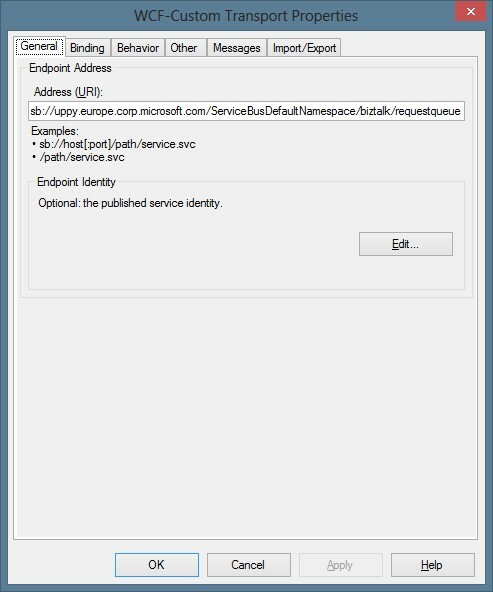 Click OK to finish creating the WCF-Custom receive location. 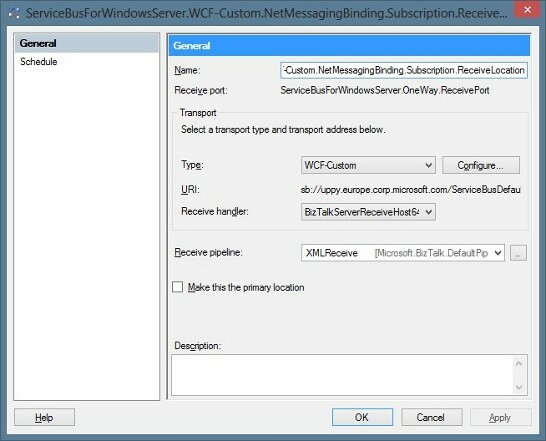 Configure the WCF receive location used to read request messages from the ItalyMilan subscription of the requesttopic.